Music by Martin Phipps and Hans Zimmer. Maria Altmann (Helen Mirren), an octogenarian Jewish refugee, takes on the government to recover artwork she believes rightfully belongs to her family. 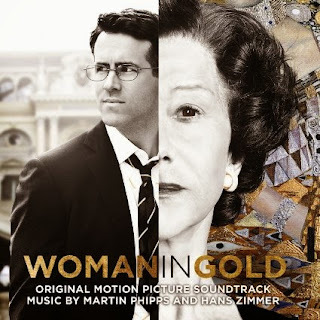 The movie soundtrack of Woman in Gold will be released on May 29, 2015 by Sony Classical.